So You Won a Grant. . . Now the Grant Management Begins! Winning a grant is only the first step. In this two-day grant management workshop you’ll get the skills and know-how to keep your project on track, comply with grant regulations, and protect your organization from the administrative and legal chaos that results from poor grants management. All of this — in only two days! Return to your organization loaded with resources including: checklists, in-depth articles, and customizable templates to streamline managing your grants. You'll also expand your professional network of colleagues in the field. Two of the nation's leading experts in the field, Henry Flood and Barbara Floersch created the curriculum for this training. It's taught by grants management expert, Jerry Bertrand, who makes an onerous topic approachable and understandable using a fast-paced and memorable style. 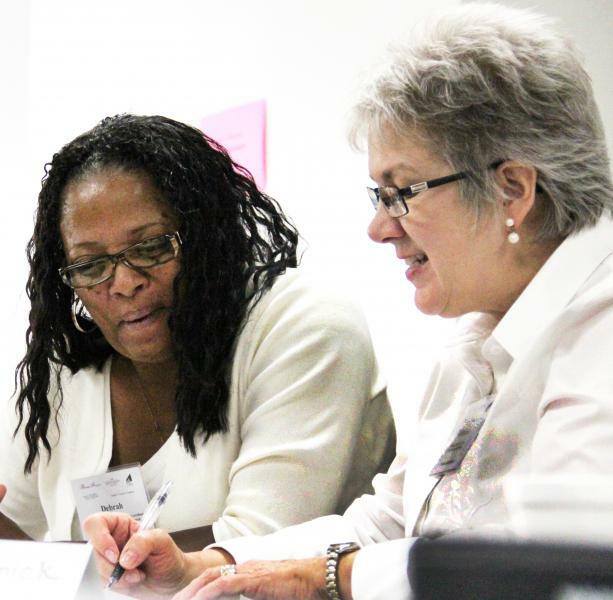 Grant Management Essentials uses the Listen & Discuss, Do & Review® curriculum — the most effective approach for adult learners. Beyond just presentation and discussion, participate in hands-on grant management exercises and review your work in class to learn the most current, practical information in the field. You leave the training with a binder of resources, a flash drive with customizable templates, a network of colleagues to contact, and six months of follow-up support from the Center via our Membership Program. Tuition for this two-day grant management course is $745. Save $100 with early bird discount when you pay at least six weeks before the start date. If you miss the early bird discount you can receive a $50 tuition discount for additional registrants from the same organization. Please note: only one discount per person; choose the discount that works best for you! Choose the training venue that's best for you and register online or call The Grantsmanship Center’s Registrar at (800) 421-9512 or (213) 482-9860. The training begins each day at 8:30 a.m. and ends by 4:30 p.m.
BRING THIS NONPROFIT GRANT MANAGEMENT COURSE OR OUR OTHER TRAININGS TO YOUR COMMUNITY! Train staff at no cost while helping nonprofits in your community build capacity by hosting this training!